Date/Time - 1 July (Saturday), 9 a.m. – 4 p.m. 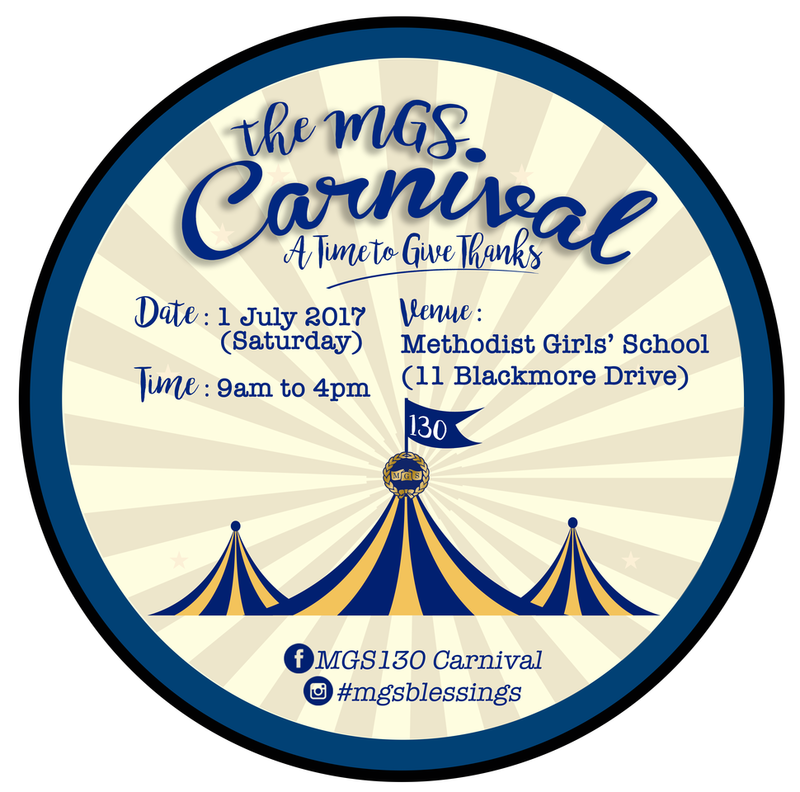 Description - Methodist Girls’ School gives thanks for 130 years of God’s blessings and we are celebrating this with a Carnival for MGS girls past and present, their families and friends, all for a good cause. Come join in the fun at the ‘A Time to Give Thanks’ Fundraising Carnival happening at the MGS Sports Complex! For more information, email mgss@mgs.sch.edu.sg today.